Mr. Dante “Klink” Ang II, President & CEO of Manila Times and Mr. Donnies T. Alas, Chairman/CEO of Alas Oplas & Co. CPAs during the business forum. JULY 22, 2015 –A Business Forum themed “The Integrated ASEAN regulatory environment: Seizing the opportunities and managing the risk,” was organized by the Manila Times at Dusit Thani Manila Hotel, Makati City. It aims to lead intelligent discussions on the complex regulatory issues involved in the region’s drive toward ASEAN integration, and the challenges these present to policy makers, businesses and investors from member economies. Expert on such regulatory issues from ASEAN, as well as business leaders who have embarked on expanding their businesses across economies in the regions were invited as Forum speakers. Noted speakers were Honorable Le Luong Minh, ASEAN Secretary-General; Ambassador Zhao Jianhua, of the People’s Republic of China; Tan Sri Dato’ Dr. Mohd Munir Abdul Majid, ASEAN BAC Co-Chair 2014; Ambassador Nina Hachigian of the US mission to ASEAN; Philippine Trade and Industry Secretary Gregory Domingo; and top business executives and experts such as Credit Suisse Bank Senior Vice President Jose Isidro Camacho; Ayala Group Chief Operating Officer Fernando Zobel de Ayala; PLDT Chairman Manuel V. Pangilinan; and SM Investments Corp Vice Chair Teresita Sy-Coson. Panel discussions after the speeches lead by NEDA-PPP Director Cossette Canilao and PricewaterhouseCoopers Philippines (Isla Lipana & Co) Chairman Alex Cabrera. They share their insights on developing smart business strategies to maximize the potential benefits of an open market and free trade area encompassing 620 million people in the world’s fastest-growing region. 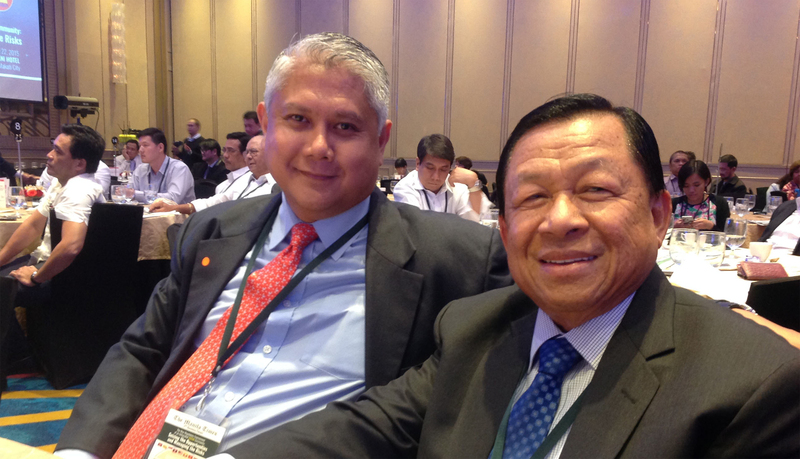 Our CEO/Chairman, Mr. Donnies Alas, was also invited to participate the important and timely forum. He was among the 250 delegates from business and political sectors of the Philippines and some ASEAN economies who attended the event.